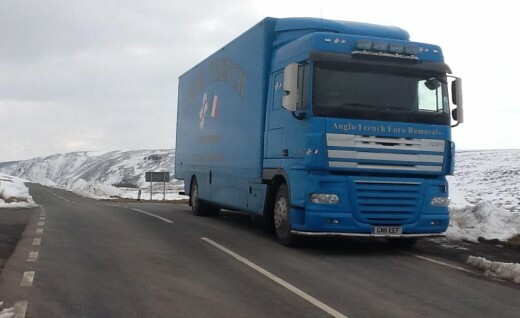 Anglo French offer a wide range of removals services to and from France. As well as full removals and part loads, we can also transport your car or motorcycle to France, provide storage facilities for your possessions and even help you pack! In fact, if you're looking to move to France from the the UK – or you’re coming back the other way – we offer a complete one-stop solution to getting your possessions transported quickly, securely and with the minimum of fuss. The removals experts at Anglo French can help you move to France wherever you’re located in the UK. We now have branches in the South East and South West, so whether you’re moving from Bristol to Brittany or Newcastle to Normandy, you can rely on Anglo French to make the transition as smooth as possible. Plus, as we only provide removal services to and from France we have extensive knowledge of all of the regions in the country. As well as helping individuals move to and from France, we also help companies of all sizes transport equipment and items across the Channel. Our experience and expertise in commercial relocation to France will ensure that your move will be completed quickly and professionally, and any disruption to day-to-day activities will be kept to a minimum. Whether you’re moving a part of your business or undertaking a complete business relocation, our relocation staff will ensure that, however far you are moving, your business and customers will not suffer as a result of the move.